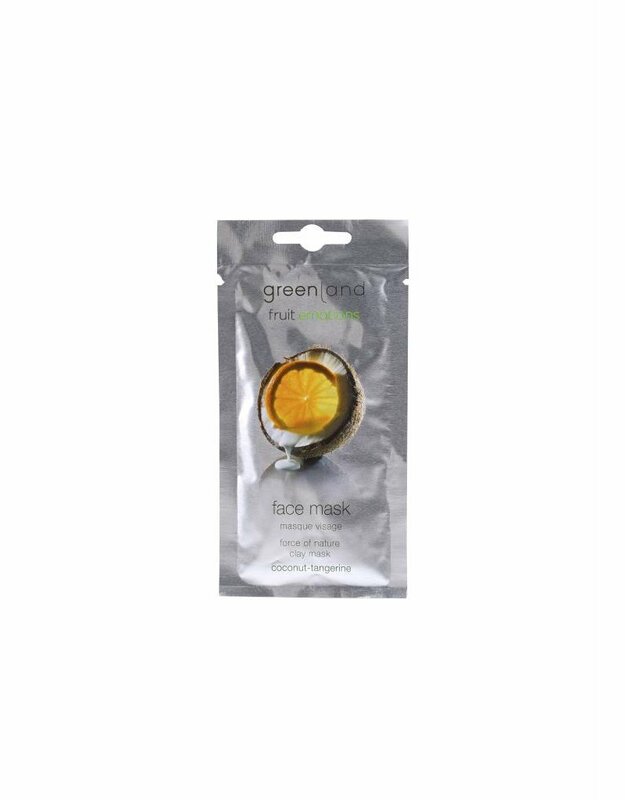 This force of nature mask is based on white clay and deeply cleanses and nourishes the skin. 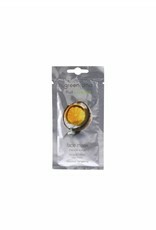 After usage your skin will feel soft and supple again. Just Emotions! Apply to cleansed face and leave on for 10-15 minutes. Rinse off thoroughly. Avoid contact wih eyes. 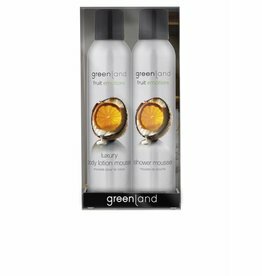 Ingredients: Aqua (Water), Kaolin, Ethylhexyl Stearate, Cetearyl Alcohol, Glycerin, Steareth-2, Steareth-21, Titanium Dioxide, Caprylyl Glycol, Stearic Acid, Palmitic Acid, Parfum (Fragrance), Quartz, p-Anisic Acid, Dipropylene Glycol, Glyceryl Caprylate, Citrus Nobilis (Mandarin Orange) Peel Oil, Citrus Aurantium Dulcis (Orange) Peel Oil, Limonene, Tetrasodium Glutamate Diacetate, Hydroxyethyl Acrylate/Sodium Acryloyldimethyl Taurate Copolymer, Propylene Glycol, Tocopherol, Polyisobutene, Helianthus Annuus (Sunflower) Seed Oil, Cocos Nucifera (Coconut) Fruit Extract, PEG-7 Trimethylolpropane Coconut Ether, Coumarin, Sorbitan Isostearate, Potassium Sorbate, Sodium Benzoate. 94% ingredients of natural origin. 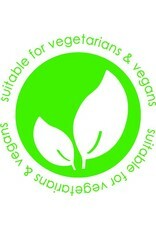 Suitable for vegetarians en vegans. 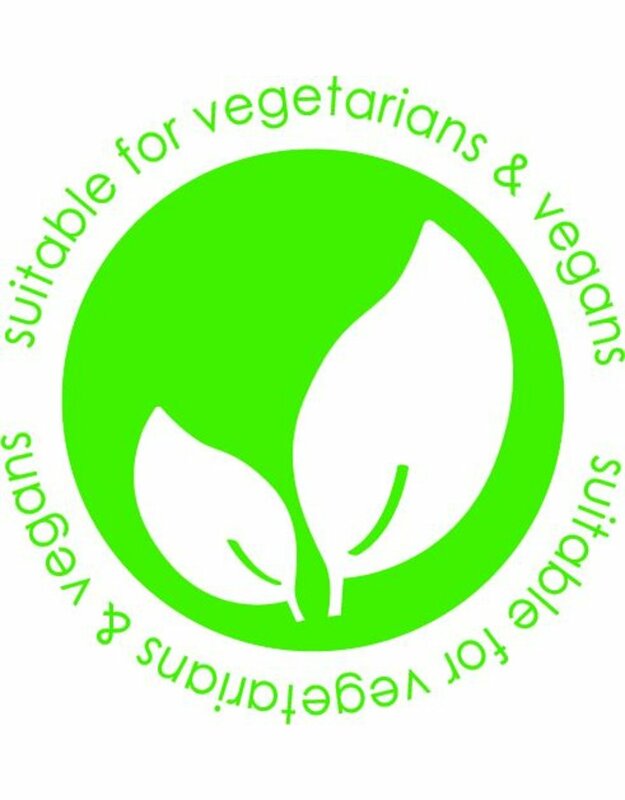 Free from (negative) parabens, colorants, gluten, lactose, SLS/SLES, silicons, mineral oils, phthalates, formaldehyde, alcohol, microplastics, GMO. Nährende & reinigende Tonmaske. Diese Maske basiert auf weißem Ton, reinigt intensiv und pflegt die Haut. Nach der Anwendung wird sich deine Haut wieder weich und geschmeidig anfühlen. Auf das gereinigte Gesicht auftragen und für 10-15 Minuten einwirken lassen. Gründlich abwaschen. Mascarilla de arcilla nutriente y purificadora. Esta mascarilla se basa en arcilla blanca, limpia profundamente y nutre la piel. Después de su uso, sentirás la piel más suave y flexible otra vez. Aplicar sobre el rostro perfectamente limpio y dejar 10-15 minutos. Aclarar con abundante agua. Máscara de argila nutritiva & purificante. Esta máscara contém argila branca, limpa profundamente e nutre a pele. Após a sua aplicação, irá sentir a pele limpa e nutrida. Aplicar na pele limpa e deixar a atuar por 10-15 minutos. Retirar por completo com água abundante. Maschera di argilla Nutriente e purificante. Questa maschera basata su argilla bianca pulisce in profondità e nutre la pelle. Dopo l'uso la tua pelle tornerà morbida e di nuovo elastica. Applicare sul viso pulito e lasciare agire per 10-15 minuti. Risciacquare abbondantemente. 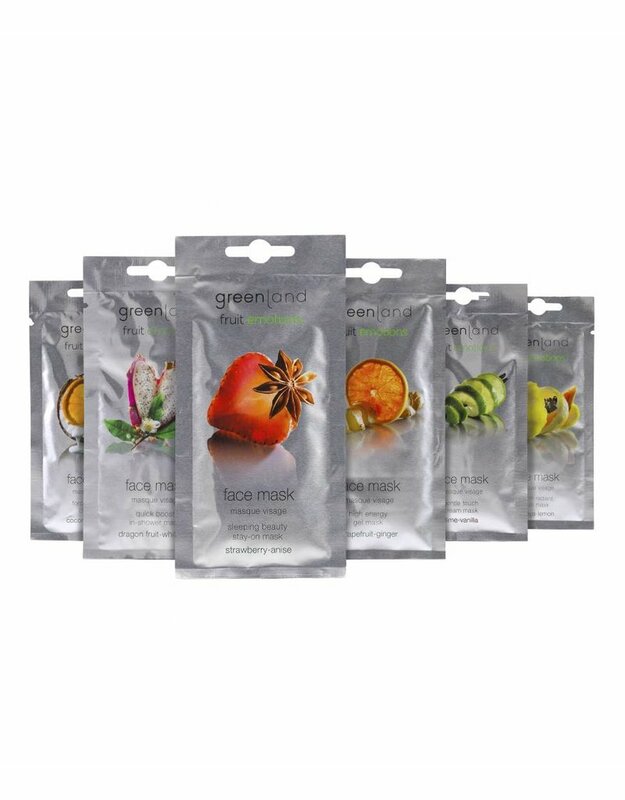 Nærende & rensende ler maske. Denne maske er baseret på hvid ler og renser og nærer dybt ind i huden. Efter brug vil din hud føles blød og smidige igen. Anvend det på et renset ansigt og lad det indvirke i 10-15 minutter. Skyl derefter grundigt. Besleyici & arındırıcı kil maskesi.İçeriğindeki beyaz kil sayesinde cildinizi derinlemesine temizleyip besleme özelliğine sahiptir. İlk kıllanım sonrasında bile cildinizin daha yumuşak ve esnek olmasına yardımcı olacaktır. Temizlenmiş yüze uygulayın, 10-15 dakika bekletip bol su ile durulayın. Питательная и очищающая глиняная маска. Эта маска на основе белой глины глубоко очищает и питает кожу. Ваша кожа станет нежной и упругой после использования. Нанесите на чистую кожу лица и оставьте на 10-15 минут. Затем, хорошо смойте водой. 이 마스크 팩은 화이트 클레이 크리크를 기반으로 하여 피부 깊숙히 깨끗하게 청결하여 주는 동시에 피부에 영양을 공급하여, 피부로 하여금 더욱 촉촉하고 부드러워지게 한다. 세면 후 얼굴에 바르고 10-15분 지난 다음 깨끗이 씻어 내면 된다. 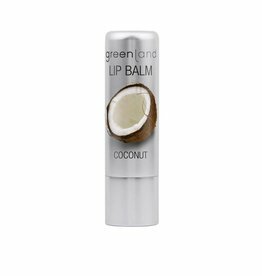 Our wonderful lip balm is nurturing and protective and has a tempting coconut flavour. Just lovely lips! 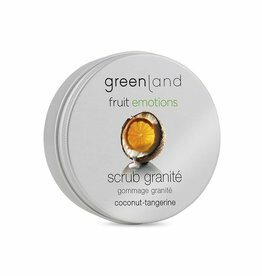 This unique Greenland granité with soft scrub particles is a true pleasure for your senses. 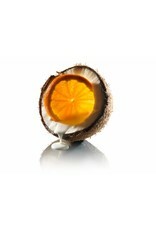 It gives your skin a long lasting scent. Your skin will feel soft and smooth. Just emotions! Using our luxury body lotion mousse is like covering yourself with the richness of whipped cream. The rich creamy mousse is a delight to all your senses. Just emotions! 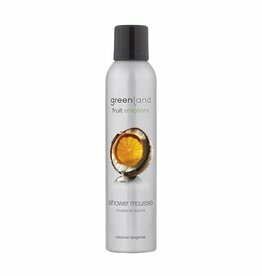 Using Greenland’s shower mousse during your shower ritual is the best way to start your day. The rich creamy mousse is like whipped cream and is a delight to all your senses. Just emotions! Complete your shower or bath ritual in two steps: a rich and creamy shower mousse and a caring body lotion mousse. Just emotions! 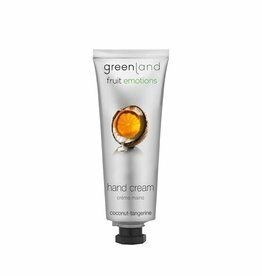 This Greenland hand cream helps soften and moisture your hands. 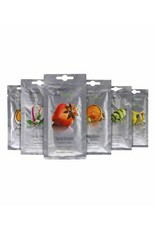 The instantly absorbing formula is ideal for on-the-go hydration. Just emotions!